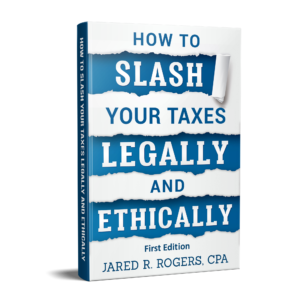 Many taxpayers, and some practitioners, are unaware that the Internal Revenue Service (IRS) by law only has 10 years’ time to collect a tax debt. This is referred to as the statute of limitations or in IRS speak, the Collection Statute Expiration Date or CSED for short. This post will talk about what the CSED is, how to obtain it, what can change its date and how to stop paying taxes once it expires. How Long Can the IRS Collect a Debt? Per Internal Revenue Code (IRC) Section 6502, the limit on the IRS’ ability to collect a debt is 10 years. However, as we discuss below, most of the “popular” legal methods used to deal with tax debt also stop the CSED “clock” from running. In some cases it actually makes more sense for the taxpayer to just let the clock run. When Does the Clock Start? The 10-year period begins to run with the date of the “assessment” of the tax, not the tax year for which taxes are due. For example, if a return for 2012 is not filed until 2014 and the tax is assessed in 2014, the 10-year period begins to run in 2014 and expires in 2024. The date of assessment is the date the tax liability is assessed on a particular form at an IRS Service Center. When the applicable form is signed by an IRS official, the 10-year period for that tax liability starts to run. When interest and late payment penalties (as well as other penalties) related to that tax year are tacked onto the underlying tax debt, they too must be collected within the same 10-year period. If you never filed a tax return, but the IRS filed one for you (i.e. using a Substitute for Return or SFR), then the statute of limitations began to run whenever that assessment was processed by the IRS on your behalf. How Can I Find Out My CSED? To determine when the CSED began for a particular liability, the best approach is to obtain a transcript of the taxpayer´s IRS account. Transcripts should exist for each tax year and provide basic information such as the date of assessment, date of filing, and tax liability. Taxpayers can request account transcripts on their own behalf by filing IRS Form 4506-T or requesting them online. You can then attempt to analyze the data, perform the necessary calculations and hope you arrive at the correct answer. Another method of calculating the CSED is to look at the “Date of Assessment” for a particular tax period if you have received IRS Form 668 (Y)(c) – Notice of Federal Tax Lien. You would then calculate out approximately 10 years from this date to see when the CSED expires. My Tax Debt Is Older Than 10 Years But The CSED Hasn’t Elapsed. Why? Filing Certain Appeals – in most cases, the statute also doesn’t run the entire time an IRS Appeal is pending. Filing an Offer in Compromise (OIC) – the statute of limitations does not run the entire time your Offer is under review, including any Appeals that you exercise, plus an additional 30 days. Filing a Lawsuit Against the IRS – the statute of limitations does not run while litigation against the IRS is pending. Filing Bankruptcy – the statute of limitations does not run the entire time you are under the protection of the bankruptcy courts or for the six months following the discharge or dismissal of the bankruptcy. Will the IRS Notify Me Once the CSED Elapses? 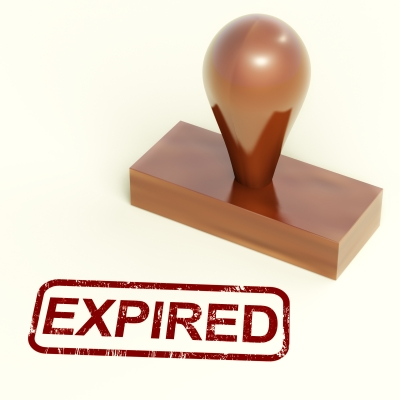 No, the IRS is not required to notify you once the debt has expired. However, they are not legally allowed to pursue collection of the debt. Thus, you will usually just stop hearing from them if your debt has expired. My CSED Has Elapsed – Now What? If the CSED has elapsed, congratulations! All that remains is cleaning up the chaos that your tax problem left in your life. You will need to ensure that a TC 608 credit to zero out the debt has been entered into the IRS system. You should also ensure that a Release of Federal Tax Lien is filed so that you can begin the process of repairing your credit. My CSED Has Not Elapsed – Now What? If your CSED hasn’t elapsed, but it is getting close, the best thing to do might be to get a plan in place with the IRS to ensure you’re protected from aggressive collection action. This may include entering into a monthly payment plan or negotiating for your account to be placed into currently not collectible status (a “temporarily” status where you aren’t required to pay the IRS). Do YOU Need Help With Your IRS Debt? Call us at (773) 239-8850 or click our email address at the bottom of this screen to get started. By the way, this post (the one you’r reading) is by far the most viewed on our site. Why? Because many people have tax issues that they want to resolve. If you have old tax returns that need to be filed or want to learn how a professional can help you with your situation, why not visit our sister site File Old Tax Returns? You might be surprised to learn that we may be able to help you out for less than you are thinking. Plus, hear some valuable information on your taxpayer rights from the IRS Commissioner himself! This entry was posted in IRS Talk and tagged collection statute expiration date csed analysis, CSED, CSED caluculating service, CSED tolling days, CSED tolling events, Filing Old Tax Returns, how can I find my CSED date, How to find CSED, how to find csed irs, How to get IRS currently not collectible status, How to stop paying taxes when CSED expires, I need help in calculating the date an IRS 10 year to collect statute will expire, internal revenue collection expiration, irc 6502, IRS 10 Year Statute of Limitations, IRS Collection Statute Expiration Date (CSED), irs collection statute of limitations tax debt expiration explained, IRS CSED, irs csed calculator, IRS CSED means, irs csed transcript, IRS Currently Not Collectible, Tax Debt and 10 Year Statute of Limitations, What is the Collection Statute Expiration Date (CSED), www.fileoldtaxreturns.com on June 19, 2014 by Administrator.